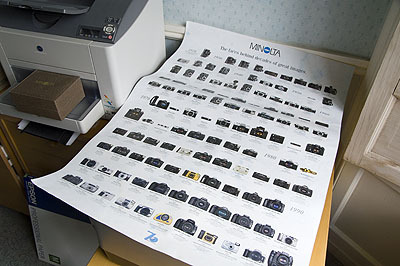 IN 1998 Minolta published, for their 70th anniversary, a large poster featuring all the landmark cameras from their own museum and employee collections. 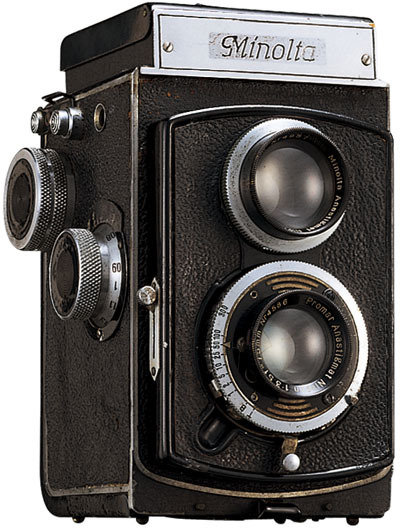 Many of the cameras shown – all fairly small on the poster – were well used and worn examples. The original image-files for the poster, which we have archived, are of poor quality. They are Japanese inkset CMYK sharpened for pre-press, with very dark gamma. This page re-creates all the information from the original poster, complete with the photographs. This page has been updated so that each period now appears as a separate section – simply select the next page to move on after reading each one. Page 1 is 1928-39, Page 2 1940-1959, Page 3 1960-69, Page 4 1970-79, Page 5 1980-89, and Page 6 is the 1990s. 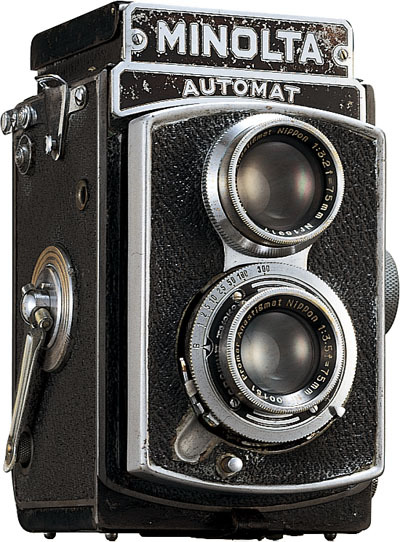 If you know the period of the camera you want to see, go straight to the page. 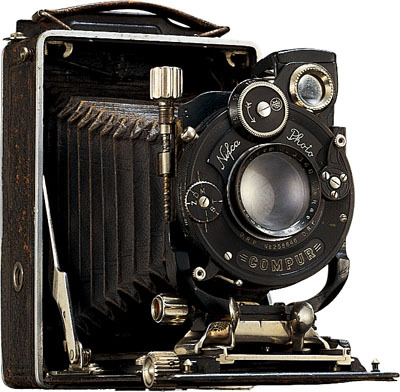 In order to access all the content here, which includes high quality images of many historic cameras, you need to be a Subscriber to Photoclubalpha. 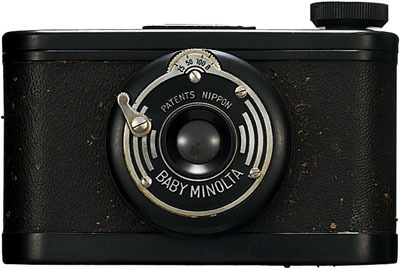 Minolta’s first camera. 40 x 65mm on 127 film with scale-estimation focusing. 65 x 90mm image, with a standard tilt and shift lens. Compact camera using the first ever Japanese-made shutter. 45 x 60mm on 120 film, Minolta’s first diecast folding camera and the first use of the Minolta name. 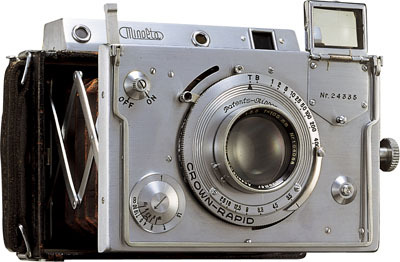 65 x 90mm image, the first Minolta camera entirely manufactured in Japan. 40 x 65mm or 40 x 30mm on 127 film, with a Bakelite body and pull-0ut lens. 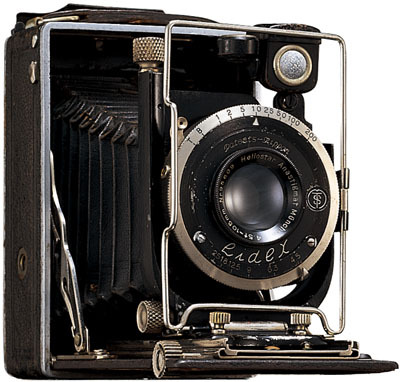 40 x 65mm or 40 x 30mm image on 127 film, the first Bakelite body collapsing camera manufactured in Japan. 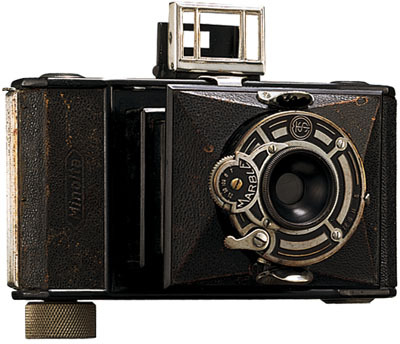 65 x 90mm image, the first press camera with a rangefinder to be manufactured in Japan. 60 x 60mm on 120 film, collapsing Bakelite body. 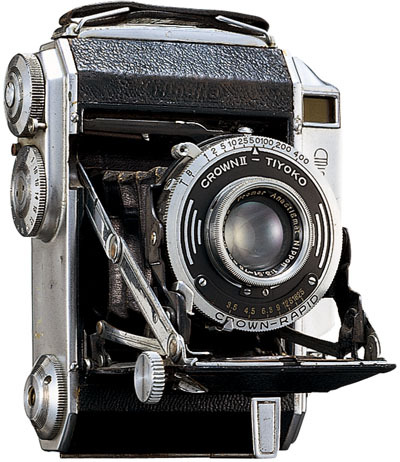 65 x 90mm image, the first ever press camera with built-in flash synchronisation system manufactured in Japan. Editor’s note: at Icon, we owned and used an Auto Press during the 1990s. 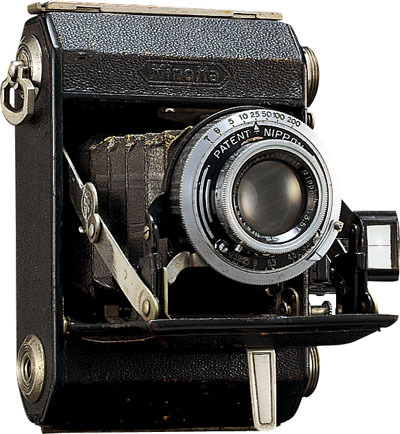 It was equipped with a rollfilm back as well as plate holders. The flash synchronisation worked, and the 105mm f/4.5 Anastigmat lens was sufficiently good to permit one commercial studio shot to be completed using the camera, though contrast and light transmission were both low. 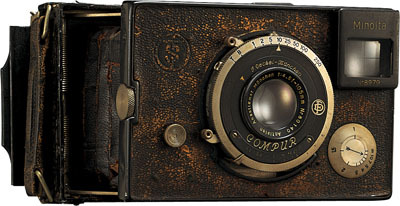 The camera has a folding sports finder (the wire frame) as well as an optical coupled rangefinder and an optical viewfinder. 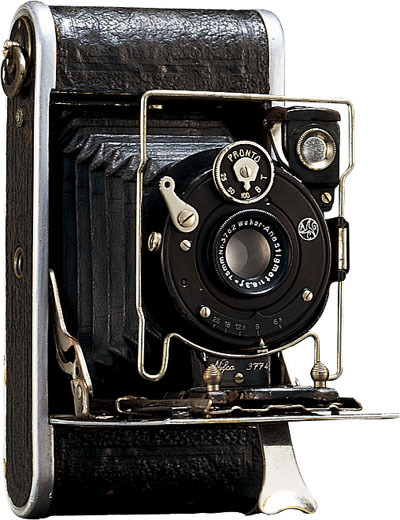 It was a copy of the German Plaubel Makina. 60 x 60mm on 120 film, rangefinder and automatic film wind-on spacing (incorrectly described on the poster as ‘auto film rewind stop’). Note the spelling ‘Tiyoko’ in place of the later ‘Chiyoko’. 60 x 60mm on 120 film. 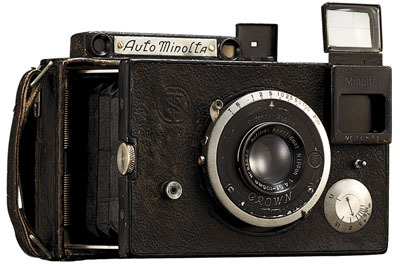 Minolta’s first twin lens reflex camera. 60 x 60mm on 120 film, first self-cocking (shutter) twin-lens reflex to be manufactured in Japan. Great post. I grew up with Minolta, first one was a SRT100-something model aged 6 (thx to my mom), followed by XG-2/XD-7 with the f1.4/50mm (first one still usable, second lost) which were very exiting for nightly sky shots and ideal to cope with the basics. After a short period of 5xi with the very limited Minolta 28-80 kit tube (forceful terminated by robbery) I ended up with my beloved 9xi (2nd hand in 2001). Just perfect balance and weight. The one thing I miss is the focusing screen with split screen of the old models where you can almost fumble for the focus. The missing flash is another point at private parties. Now the combination of 9xi with Kodak EliteII or Elitechrome and Nikon ED-40 has become some sort of unhandy and time-consuming and it’s time for a new Alpha. 700 maybe, or 350, not answered jet. Nice post. However, I’m not sure where people are getting that Nikon has a camera with a shutter speed greater than 1/12000th of a second. I believe Minolta still holds the crown for that, at least in a traditional film SLR. Even the Nikon F6, which is very high spec indeed, has only 1/8000th of a second shutter speed. I have had a copy of this poster for about six years and never noticed that little alpha symbol on the the Dynax series. It was only with the latest edition of Photoworld that I realised that Dynax/Maxxum cameras had another designation. Let us all hope that Sony continue to do well with this line, and that the Omega presaged by my user name is not reached for some time, as I have always considered that Minolta have produced some of the most innovative and useable cameras of recent times. This is why I began with the still useable SRT101s, in 1968 there was no contest – well featured and with very good for its day lightmetering, bayonet lens mount and good handling with a nice solid feel (unlike recent generations I could add) and a more affordable (only just on my service pay) price. The Dynax 9 does not offer shutter speeds up to 1/16.000th. Just 1/12.000th. Corrected – thanks. Nikon’s shutter shortly afterwards went to 1/16,000th. The Nikon claim regarding shutter speed simply isn’t true. Nikon recently put out a digital camera, J1, which claims 1/16000th. 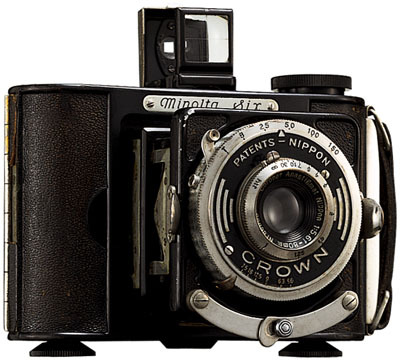 The Minolta Alpha/Maxxum 9 has the highest shutter speed of any 35mm SLR ever produced.